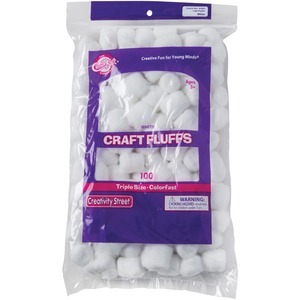 Craft fluffs are perfect for use during a variety of craft projects. Colorfast design ensures these fluffs stay a vibrant white. Triple-size fluffs are large enough for counting and sorting, decorating and more.